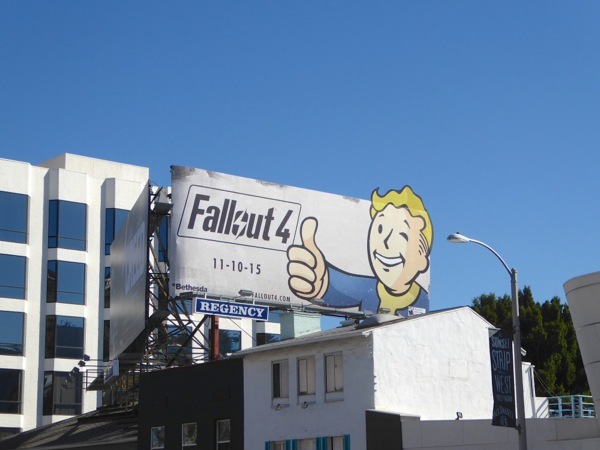 Vault-Tec corporation's mascot, 'Vault Boy', is currently dominating L.A.'s skyline and giving a beaming smile, a cheeky wink and the thumbs up to the latest installment in Bethesda Game Studios Fallout video game franchise. 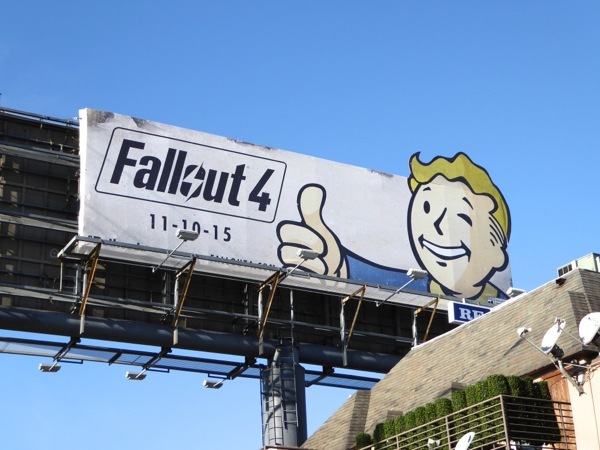 Fallout 4 continues the open world post-apocalyptic role-playing action that gamers have been waiting for. 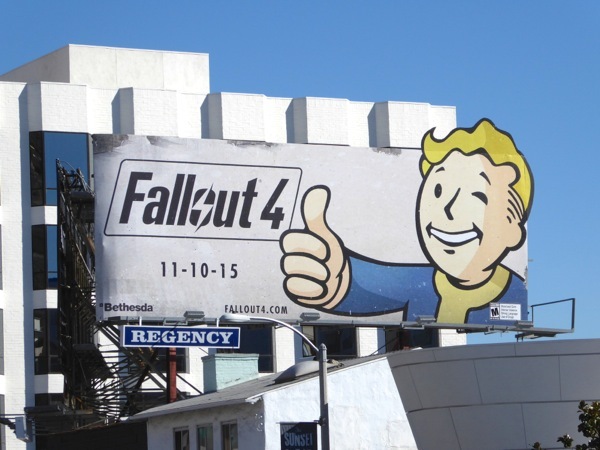 The retro cartoon mascot (also confusingly referred to as 'Pip-Boy' by some) also plays the part of all the stats in the game universe and he certainly stands out from the usual gun-toting characters that accompany action video game releases. 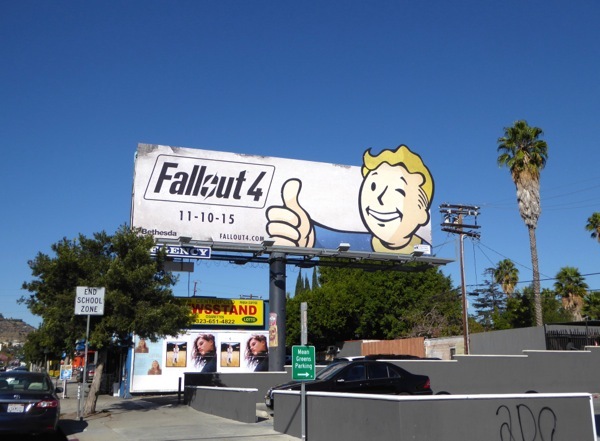 These eye-catching Fallout 4 video game billboards were snapped in multiple locations along the Sunset Strip and along Fairfax Avenue on November 5, 2015. 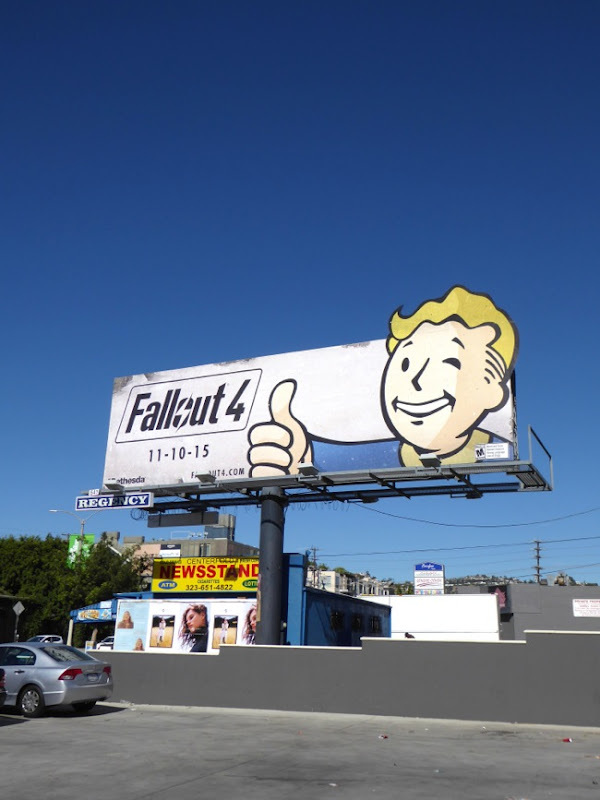 If you're a fan of video games, be sure to also check out these Rage game billboards, these Wolfenstein: The New Order billboards, these Assassin's Creed billboards and many more here at Daily Billboard. 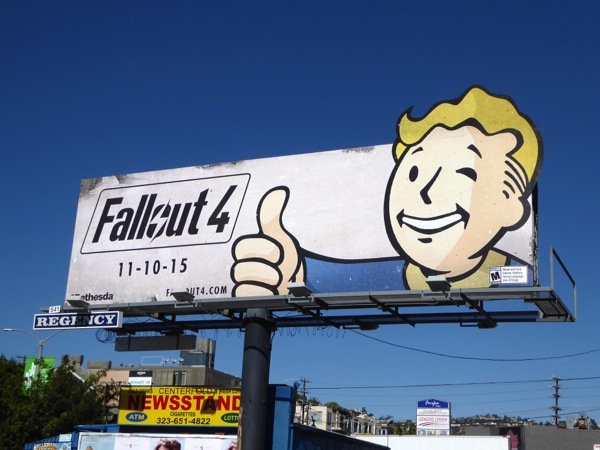 Have a great Sunday and happy game playing.